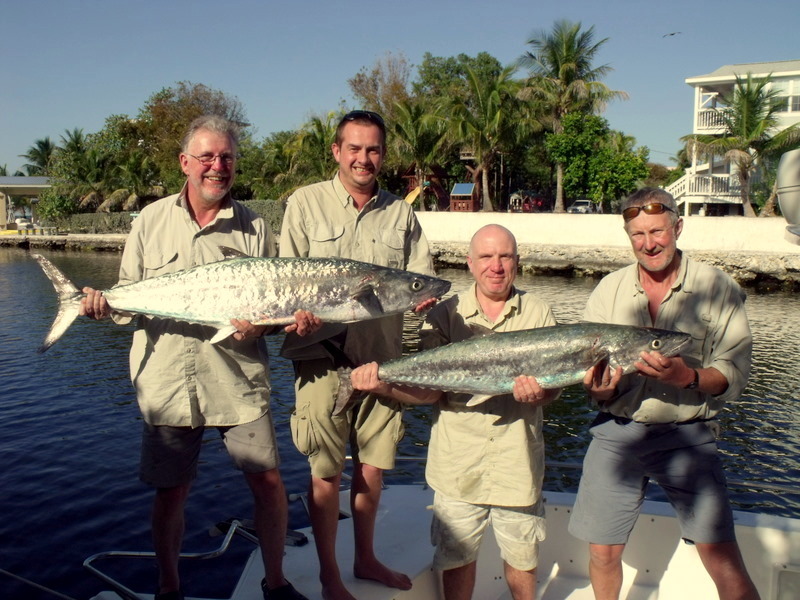 As we start the first day of autumn tomorrow we look forwards to our return to the Florida Keys and start the of the winter/autumn sessions of our fishing holidays. As the hurricane season tails off we get a much more pleasant climate in the Keys, winter is our dry season and the temps drop off to a much more pleasant high 70’s and mid 80’s nearly all winter long. One of my favorites is the arrival of our mackerel spanish, cero and kings all reach peak numbers in the winter and Florida Bay can just be so full it is hard to get any bait back without a mac attack. With most of Florida bay less than 10 ft deep you can catch them any way you want fly, lure or bait as they say what ever floats your boat. Often when we are sharking mackerel is the best bait but it is hard sometimes to stop getting bait catching mackerel can be so much fun. 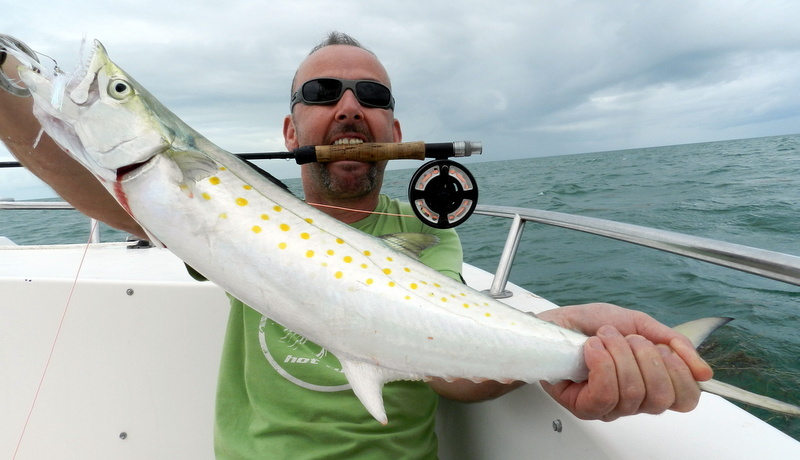 Spanish mackerel are our smallest most the low pounds but on a light fly rod they don’t half pull, some times going to doubles but this is rare and the Florida record is just 12 lbs. 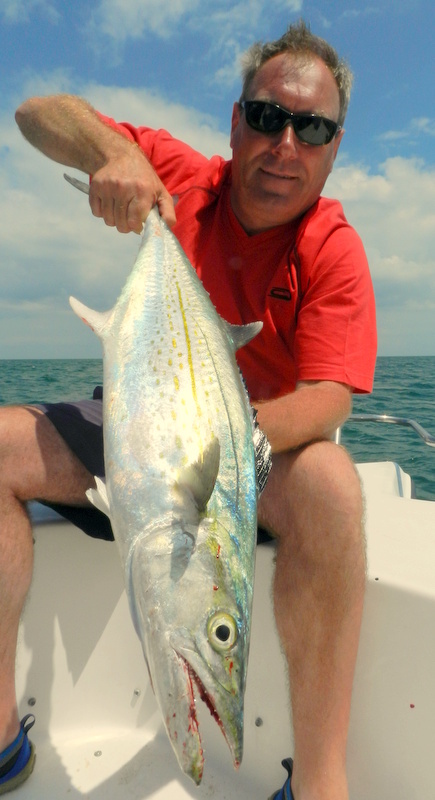 Cero mackerel are just a bit bigger often we get doubles and the Florida record is over 17 lbs but I know of 20 lb fish being taken but not claiming the record as they thought it was bigger. 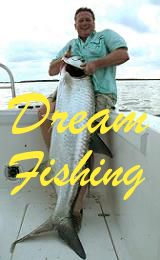 Our biggest mackerel is the king and the Florida record is 90 lb that must have been a stunning fish, we have had them near 40 lb and even at that weight they kill the anglers 200 + yd runs are common just check you have enough line before you target a king. Kings also like a bait on the kite just such a cool way to fish and if you have the bait right the take on the surface can just be an explosion ! Eating wise the spanish and kings smoke the best and cero is the better in my opinion also we take out the sushi kit as raw cero is right up there with tuna.